Montauk restaurants and shops offer fresh, local seafood throughout the year. 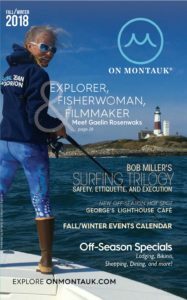 Montauk is the biggest commercial port in New York State, and most of our restaurants our restaurants and shops are able to buy locally. So there is not better place to enjoy seafood than Montauk. But if seafood is not your dish, most restaurants offer other menu items. In the summer and fall growing months, many of our restaurants stock up on local produce and fruits. The views over Fort Pond Bay are superb in this hottest of hot spots. No better sunset. Great dockside dining and outdoor vibe with the yacht set and a classic menu including grilled or steamed lobster, fresh local fish and Duryea’s famous lobster roll, also a Clam Bake, small plates, salads, raw platters, and a kids’ menu. Look for the giant boats. For boat lovers! Great views, seafood, and outside seating right on the water. Gaze at every boat that enters or exits Montauk harbor. 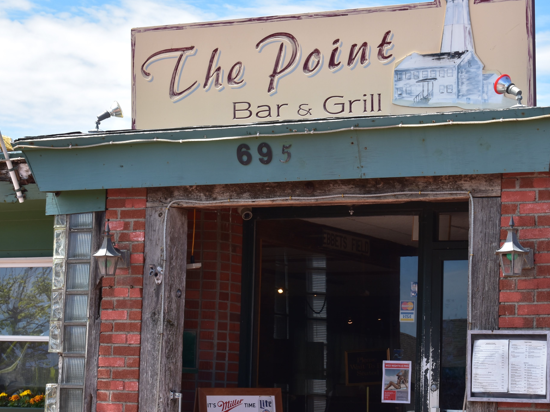 The Inlet serves daily specials and prepares sushi with the fish brought right from Gosman’s dock. A picturesque outdoor bar specializes in frozen refreshments. An On Montauk favorite, Harvest On Fort Pond has a well-deserved reputation as a Montauk fave, suitable for all sets. Feed the ducks and HUGE fish off the ford pond dock while you wait for your table…the kids love it. Dine or drink in the lovely herb and vegetable garden under the stars. Chef Jake Williams prepares Tuscan fare served in LARGE family-style portions, emphasizing local seafood and homegrown produce. The sophisticated bar is popular with well-heeled locals and sports an impressive wine and beer selection. Dinner from 5pm daily. For boat lovers! A beautiful waterfront restaurant at the end of East Lake Drive with spectacular sunset views overlooking the sound. Named one of the 10 best seafood restaurants on Long Island by Newsday in 2015, Inlet is owned by six commercial fishermen from Montauk. Watch the boats cruise in and out of the Harbor while enjoying fresh seafood, sushi and lobster caught daily from local fishing boats or enjoy signature cocktails from the bar. Land lubbers be advised, their steaks, burgers, and pastas are superb. 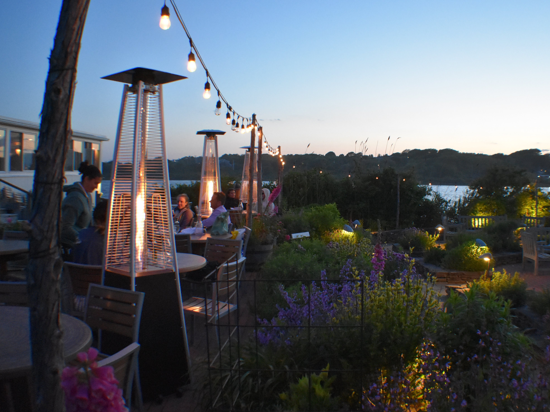 This Harbor area mainstay on Lake Montauk with nice views features New American small plates designed to be shared, including creative delicacies like butternut squash cappuccino soup, “mac & cheese” with orzo, peas, bacon and asiago cream sauce, or angus sliders with tomato jam. Also available for private events, corporate dinners and weddings. Named after the swallow, a bird that chooses a mate for life and always returns home. Chef Sam Joyce’s dockside restaurant is casual, family-friendly, and very Montauk. Local flavor lives in the famous Lobster Burger, Mary’s Lobster Roll and Shrimp Po Boy, plus clams and oysters on the half shell, grilled steak, or soft tacos. Entrées available in smaller portions. Soups, salads, and sandwiches also available. Sit inside or on the patio and watch boats in the Harbor. 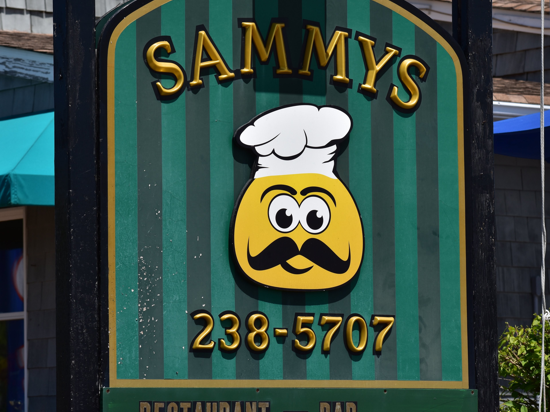 Look for Sammy’s food truck at the harbor entrance. Available for private parties. Open 7 days, in the season. A spectacular hidden gem in a beautiful setting appropriate for all sets. S’mores at the fire pit, anyone? The menu features fresh catch from local fishermen and organic meats and vegetables, all creatively done. Dine in or outside in the gardens, or lounge poolside and enjoy a cocktail. Open late. This iconic watering hole and eatery with big-screen TVs features casual fare including wraps, burgers, mussels, and buffalo wings along with signature dishes, such as a 16-ounce steak and fresh Montauk seafood. Half price appetizers and drinks during happy hour Mon. through Fri. See all MLB games and in the fall enjoy NFL Sunday Ticket. Open daily and late. 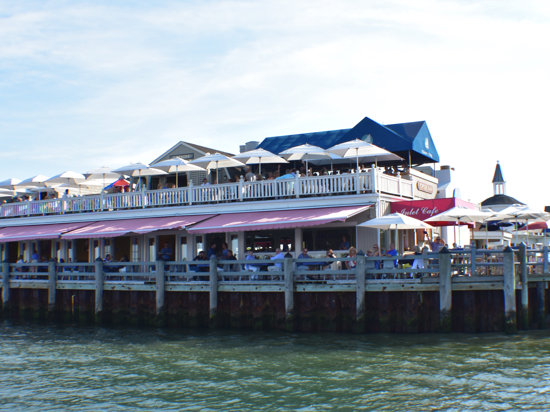 This family friendly seafood restaurant in Montauk is located at the Westlake Marina, right next to the docks. Watch fishing boats dock and unload their catch while enjoying fresh cocktails and frequent live music. The extensive menu features local seafood, fish & chips, chowder, sushi, the Westlake Burger and an impressive kid’s menu. An On Montauk top choice. Anthony’s is a Montauk classic serving breakfast and lunch since 1952 with vintage charm. A great choice for families or dine solo at the bar. Reasonably priced (for Montauk!). Say hi to Anthony at the door. Takeout available. Open daily 7am-2pm. An On Montauk breakfast favorite with style and creative twists on traditional fare. Dine inside or out. They do eggs right! Look for the seagull painted on the roof of a giant A-frame. After eating, browse through Bird’s beach boutique for clothes and accessories. 8am-1:30pm, 7 days. Location Location Location. Breakers MTK is a new, laid back, ocean-view eatery nestled into Breakers Motel along a beautiful stretch of Old Montauk Highway close to town, offering casual dining indoors and al fresco, poolside service, full bar, elevated grab & go offerings, and a signature take-out menu with online ordering. Weekend brunch beckons, as do wine, beer, and creative cocktails après beach. One bite and you’re…HOOKED! An On Montauk favorite. Montauk’s newest coastal eatery showcasing our renowned local seafood has already earned a loyal following with its great menu and reasonable prices, featuring a raw bar with Montauk pearl oysters and clams, local steamers, grilled fish, fish & chips, fish tacos and crab cakes, and yes…lobster rolls! Add burgers, chicken, soups, salads and sides galore. Casual and close to the beach, go take-out and hit the sand or grab a patio table. Sunset anyone? This laid-back, family-friendly restaurant and bar is on a beautiful stretch of beach on Fort Pond Bay. Enjoy casual coastal cuisine with an emphasis on sustainable seafood and local produce. Signature dishes include Local Catch Ceviche, Buttermilk Fried Chicken, and the Lobster & Clam Bake. Dine inside or on the beach and watch breathtaking sunsets and boats meandering offshore. Great wedding/event spot. Open seven days in season. Pizza Village, a Montauk staple, has been serving fresh, homemade pizzas and other Italian dishes in the village since 1957. Grab a slice, but don’t ignore their full menu of Italian family fare such as baked ziti, veal parmigiana, spaghetti, and linguine with clam sauce. Table service or takeout. Delivery, catering available. 11:30 to late. Across from the baseball field… and more than just pizza, Primavera has superb homemade Italian specialties and specialty pizzas made in brick-lined ovens. The grandma pie is heaven. Specialties like focaccia sandwiches, salads, soups, pasta dinners, and even tiramisu are homemade. Takeout or eat on tables outside. The playground and ball field across the street are great outlets for the kids after dining. Event catering. The view from the tables over Fort Pond Bay and Gardiner’s Island is superb. 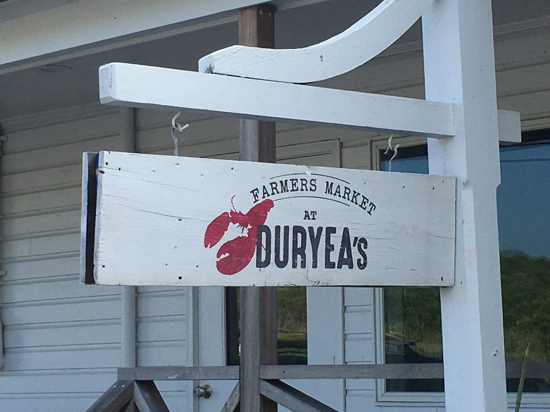 Great outdoor Duryea vibe with a classic menu including grilled or steamed lobster, fresh local fish, and Duryea’s famous lobster roll, also a Clam Bake, small plates, salads, raw platters, and a kids menu. A Montauk institution is the Bake Shoppe. Fresh everything in the morning displayed for easy viewing in classic bakery style. Classic bakery items mingle with specialties like rugelach, quiche, and exotic cookie creations. Homemade doughnuts, cakes and…wow, those breakfast wraps are so big and juicy you could skip lunch. Coffee, juices, refreshments also. Takeout or grab a table outside and people watch. BAKERY! BAKERY! Montauk Market is a superb bakery and market opening at 5am serving fresh muffins, croissants, breads, bagels, flagels, cookies, bialys, pies, or full breakfasts like egg white wraps, omelets, fresh fruit salads, yogurt & granola, plus veggie juices and smoothies. 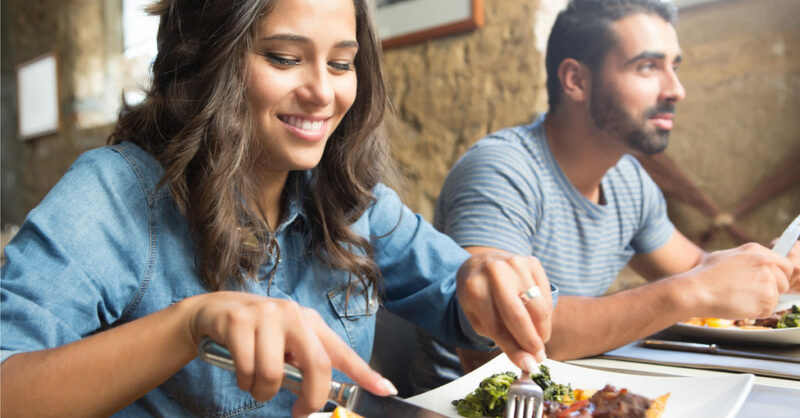 Lunch includes endless sandwich combos and homemade salads while dinnertime features hot and cold platters, Italian specialties and Latin-American dishes. They cater and can make you a to-go basket for the beach! This Main Street service station has a handy convenience store with coffee and snacks, summer drinks, plus cool, imported beers and fine humidor cigars. Pop in while strolling or after filling up. Seen Willy Wonka? Fudge N’ Stuff is jam-packed with goodies, including 30 different kinds of fudge, an eye-popping assortment of old-fashioned penny candy, lollipops, gourmet jellybeans, hot popcorn, nuts, and chocolate-covered pretzels. Craving soft serve ice cream, sundaes, malts, hot chocolate, hot coffee, iced coffee and hot tea? No problem. Oh, piñatas too. 10am-10pm in season.